The recent launch of the plastic-free Trust Mark has led food manufacturers to invest in new sustainable packaging initiatives. With sustainability initiatives on the rise, food manufacturers have been trying to keep up with the demands of eco-friendly consumers. The environmental advocacy group, A Plastic Planet, has been catching a lot of consumer attention with their initiatives to reduce plastic use in grocery stores. With the recent launch of their new plastic-free Trust Mark, many food companies have been reinventing their product packaging so that they can adopt the plastic-free logo in order to bring in more consumers. 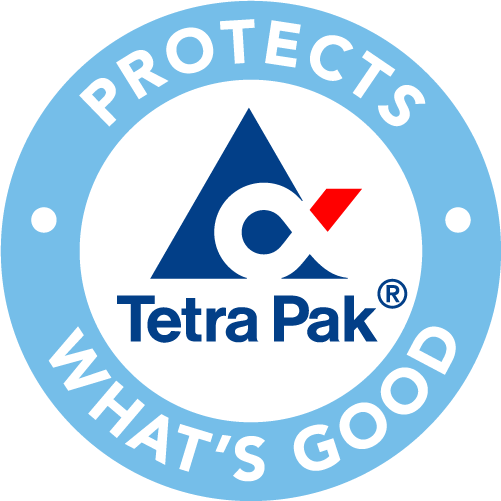 Although this trend is currently expanding in the UK, US food manufacturers can also get a head start in using the Trust Mark by utilizing sustainable packaging materials. A Plastic Planet caught the attention of the food industry when they announced the first plastic-free grocery aisle in the Netherlands. Shortly after, the organization took to mainstream media to share their beliefs and introduce their new Trust Mark which identifies a food product that utilizes 100 percent sustainable packaging. Early adopters of this new sustainability logo include UK grocery chain Iceland, Dutch retailer Ekoplaza and tea brand Teapigs. Iceland has already started to print the Trust Mark on their private label products and they plan on eliminating single-use plastics from their entire portfolio of private brand products by 2023. The grocery chain has already introduced the logo on their private-label eggs, cottage pie and vegetable burgers, which will result in 600 tonnes of plastic reduction annually. Ekoplaza has a similar initiative with their commitment to using the Trust Mark in 74 locations across the Netherlands. The Dutch grocery chain will ensure that all products within their plastic-free aisle in their Amsterdam location will be carried in each of their 74 stores. “With the grocery retail sector accounting for more than 40% of plastic packaging in the UK, it’s high time that Britain’s supermarkets came together to take a lead on this issue. I’m proud to lead a supermarket that is working with A Plastic Planet to realize a plastic-free future for food and drink retail,” said Richard Walker, Managing Director of Iceland. In The US, major food companies such as Nestlé and McDonalds have been trying to catch the attention of eco-friendly consumers through sustainable packaging as well. However, such food companies have yet to be awarded with the new plastic-free Trust Mark. With 92 percent of US consumers claiming to not notice sustainability logos on food packaging, there seems to be a disconnect between eco-friendly consumers and sustainability initiatives. A Plastic Planet’s new Trust Mark is designed to stand out on packaging with its white background and clear “plastic-free” text. “Our Trust Mark cuts through the confusion of symbols and labels and tells you just one thing – this packaging is plastic-free and therefore guilt-free. Finally, shoppers can be part of the solution not the problem,” said Sian Sutherland, Co-founder of A Plastic Planet. There are several sustainable packaging formats that food companies can utilize to earn the new Trust Mark. Trust Mark-accredited packaging materials include cardboard, wood pulp, glass, metal and compostable biomaterials. Food manufacturers can also utilize laser technology to print edible tattoos on fresh and open food items such as produce. There are also several edible and biodegradable packaging options that food companies can use. French company Lactips has introduced an edible packaging made from casein, a type of protein sourced from milk, that is soluble in both hot and cold water. Another edible packaging solution is Ooho, an edible and biodegradable packaging for beverages that is made from plants and seaweed. Ooho was developed by London-based start-up Skipping Rocks Lab and became widely popular on social media as the edible water bottle. In addition to their appealing circular shape, Oohos can be flavored and colored as well. However, in terms of popularity and individuality, niche food companies have been increasingly marketing biodegradable packaging. Biodegradable packaging options include CuanTec’s flexible and biodegradable packaging made from marine and aquaculture waste. The Scottish start-up develops their innovative packaging by using chitin, which is an inedible molecule found in the langoustine shells of shellfish. UK food packaging company, Sirane, is also offering a biodegradable pouch called Earthpouch, which is one of the three finalists for the Sustainable Packaging Awards held in Amsterdam. The VTT Technical Research Centre of Finland has also introduced a 100 percent bio-based stand-up pouch for fatty dry foods such as chips, crisps and muesli. With so many options to choose from, food manufacturers have a lot of opportunities to adopt the new plastic-free Trust Mark on their product packaging. The current consumer demographic has been found to be willing to pay extra for sustainable foods, which means that extra investment in sustainability initiatives will likely result in extra revenue.